NUCLEO is proud to support the London Design Museum through our donation of a very special artwork. For this year’s ‘Time for Design’ benefit auction, NUCLEO donates one of its signature, and most essential works as a studio — Primitive Table. 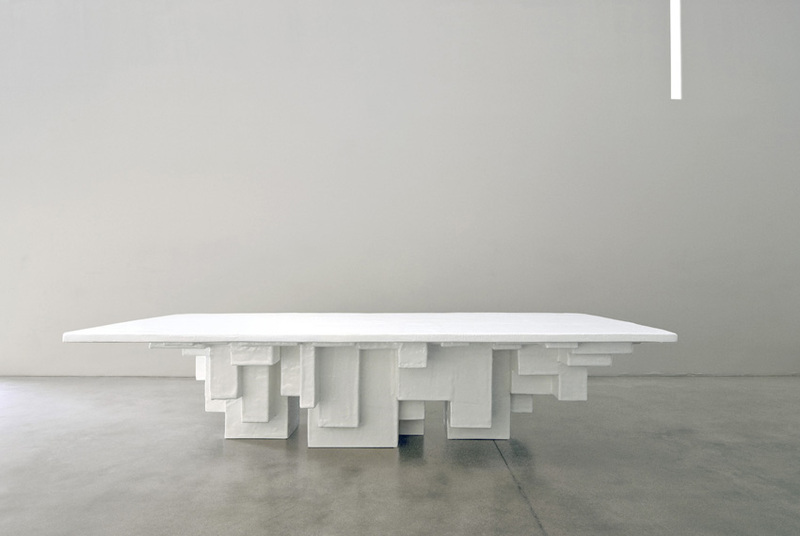 First designed in 2009, the table is part of the Primitive series — a project focusing on erasing all excess decorative style after the last neo-baroque objects created. “Studio NUCLEO, based in Turin, view their work as explorations of time. They are one of the most promising of a generation that emerged from the shadow of Italy’s ‘maestri’, dominant for so long”. gallerists, artists and designers (like Anish Kapoor, Ron Arad, Antony Gormley, Zaha Hadid, Norman Foster, Nendo, and more) and Design Museum supporters alike. Thank you for bidding on Primitive Table, and supporting the cause which is in the heart of the NUCLEO studio philosophy. Browse and bid in Time for Design Online Auction from Thursday, 7 April at 6pm BST through Monday, 2 May at 6pm.